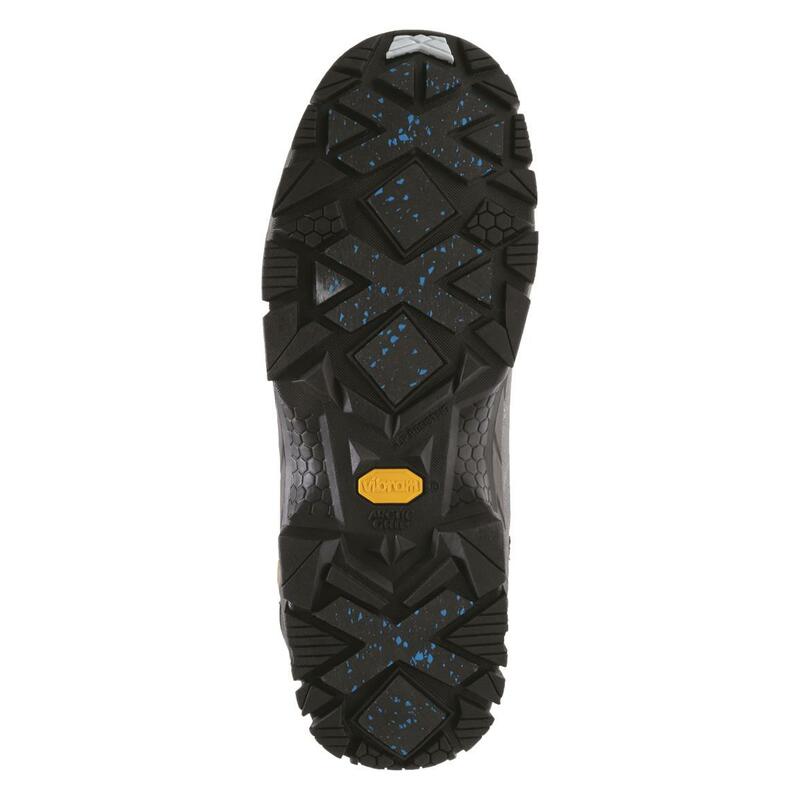 Vibram® Arctic Outsole grabs and holds, even on wet ice! Wolverine® Vortex Boots, packed with all the features you want and NEED on the hunt. They're made from premium waterproof leather, and feature a molded TPU shell surrounding the entire bottom half of each upper. TPU (thermoplastic polyurethane) is highly durable, oil- and grease-resistant, and flexible even in the cold. Inside, a waterproof/breathable membrane keeps water out while letting sweat vapor escape. A moisture-wicking mesh lining takes care of any excess moisture that remains, keeping you comfortable on early-season hunts when you work up a sweat. But it's what's underfoot that counts — and that's where the Vortex separates itself from the competition. Vibram® Arctic Grip walks all over winter weather. You already know that Vibram® is THE name in outsole technology, offering unmatched durability and incredible traction. Now, Arctic Grip gives you that performance even on wet ice. The unique Vibram® Arctic Ice Grip slip-resistant outsole grabs and holds on wet icy surface, offering unparalleled traction for climbing up frozen mud, slick hillsides, wet rocks and lots more. You'll be amazed at what these can do, even on glare ice. 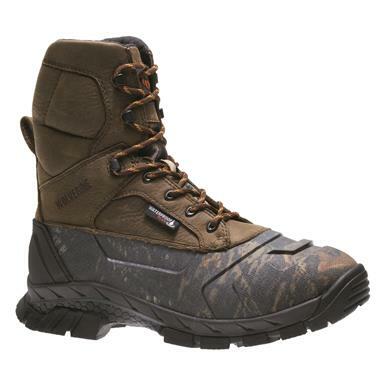 EPXTM technology makes these Boots the most comfortable ever! It adds up to unrivaled fatigue-fighting support, step after step. Hunt after hunt. In fact, Wolverine is so confident in their boots that they back them with a guarantee. If you aren't completely satisfied, send them back for a full refund. It's that simple.